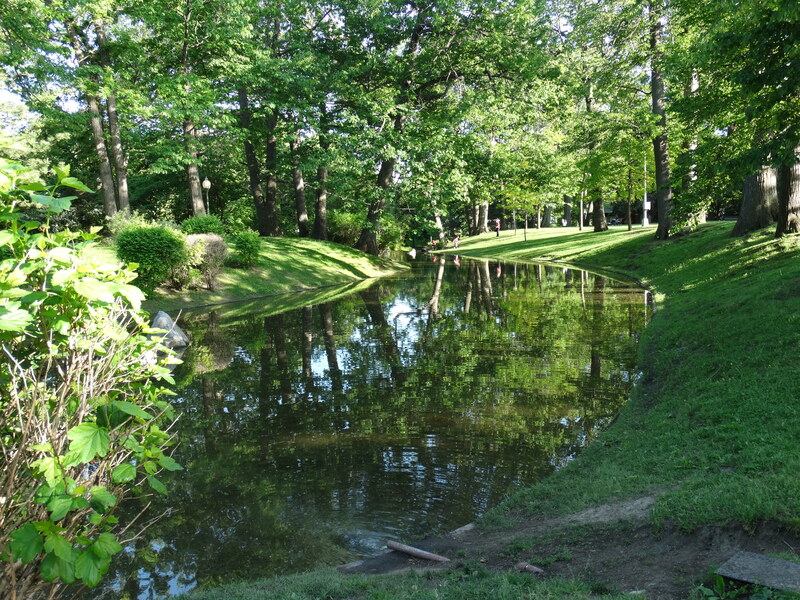 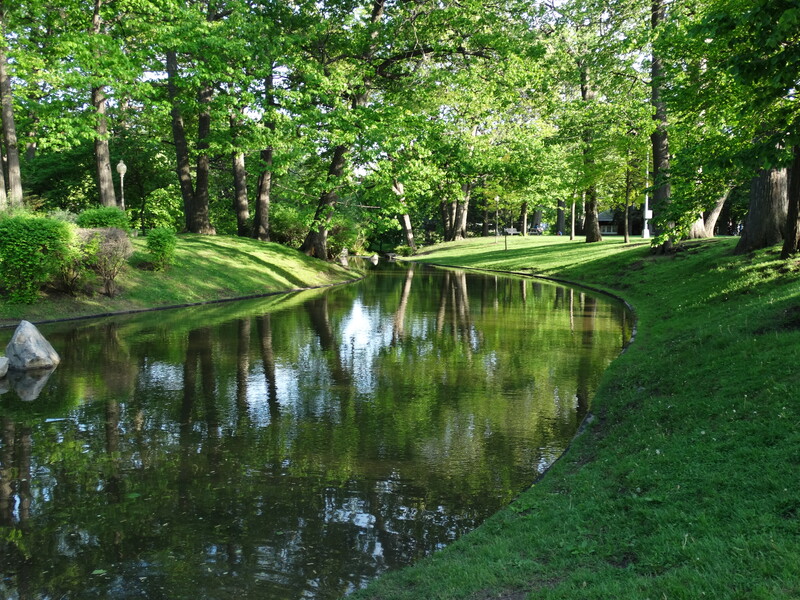 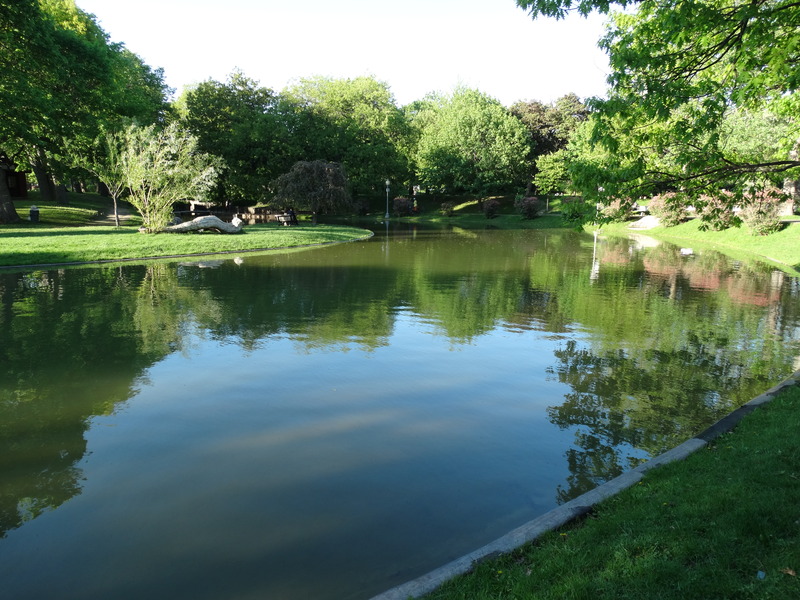 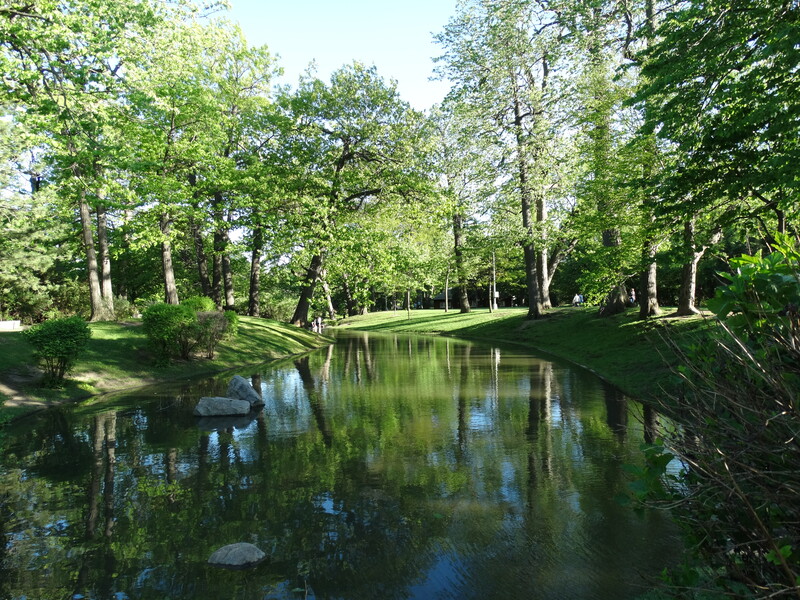 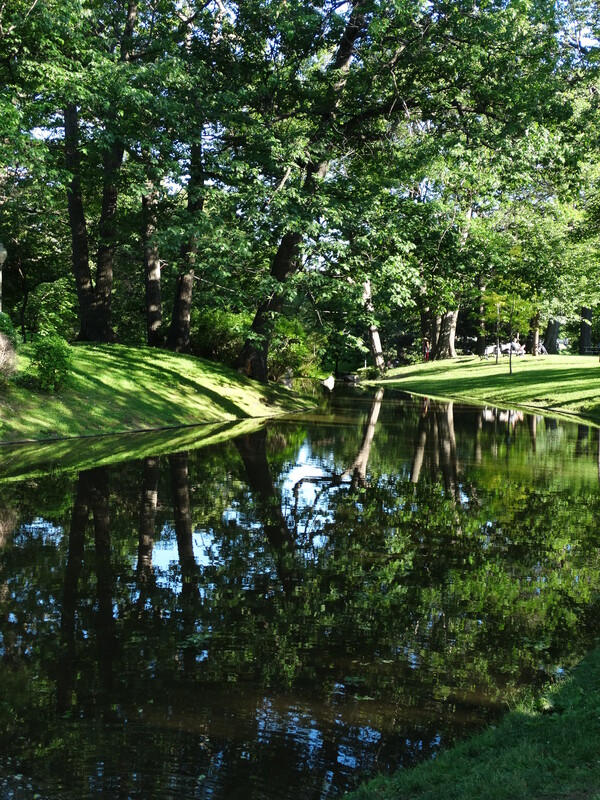 Reflections on the park’s lagoon in an early evening. 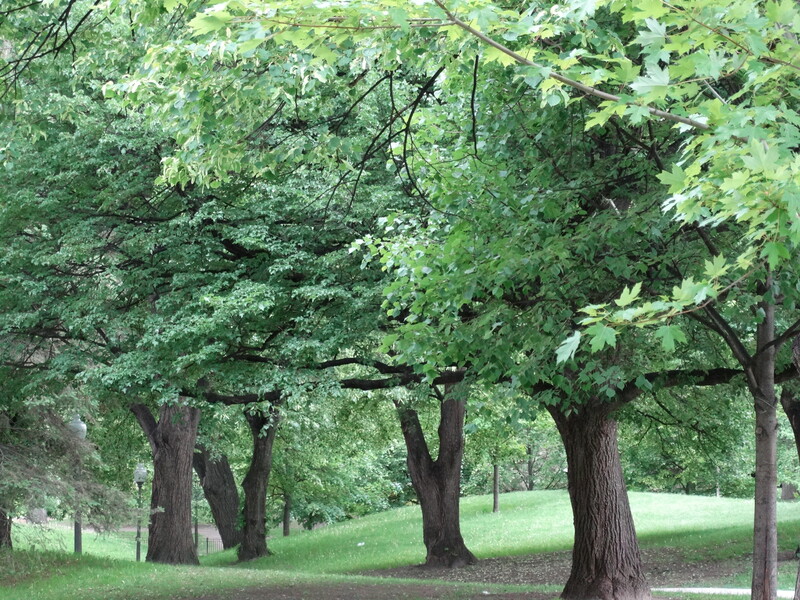 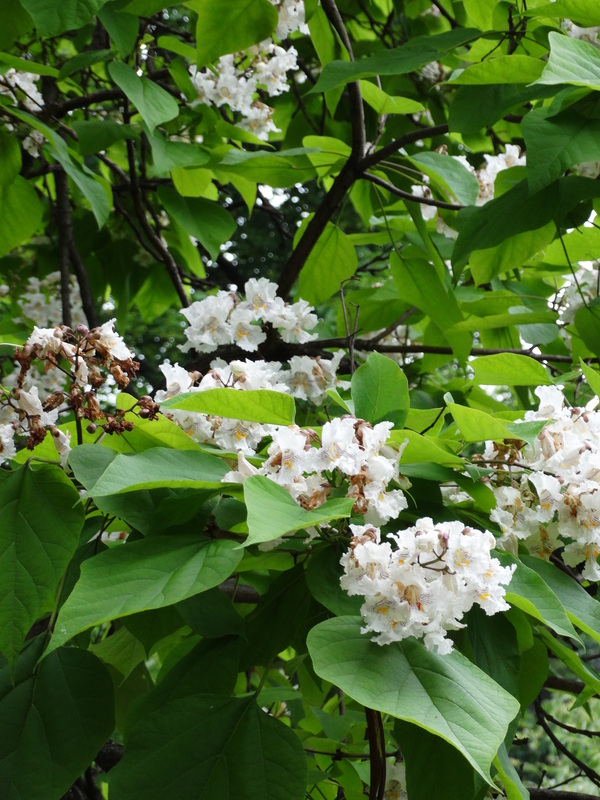 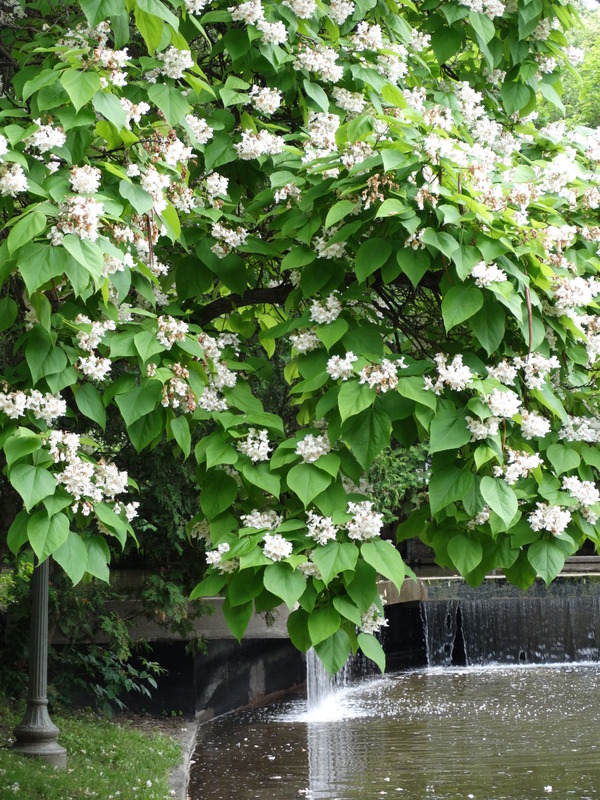 One of several Catalpa trees, in full blossom, in Westmount Park. 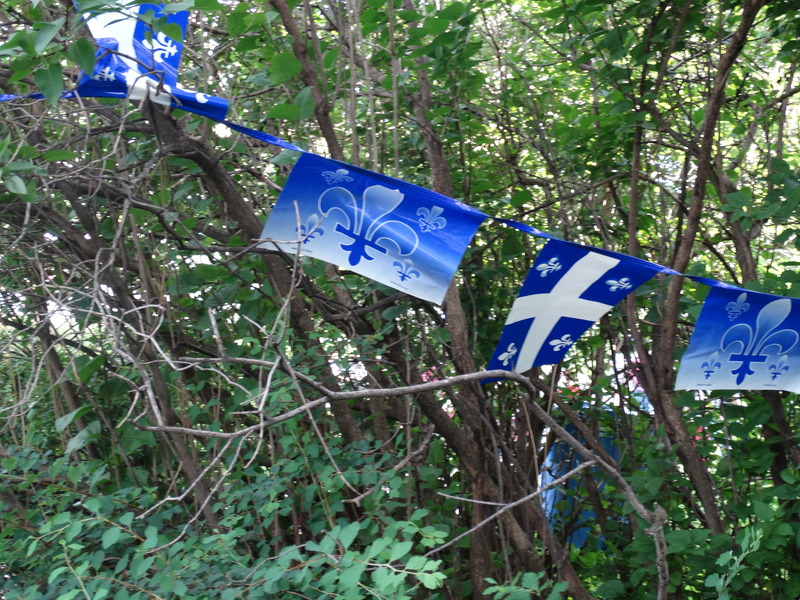 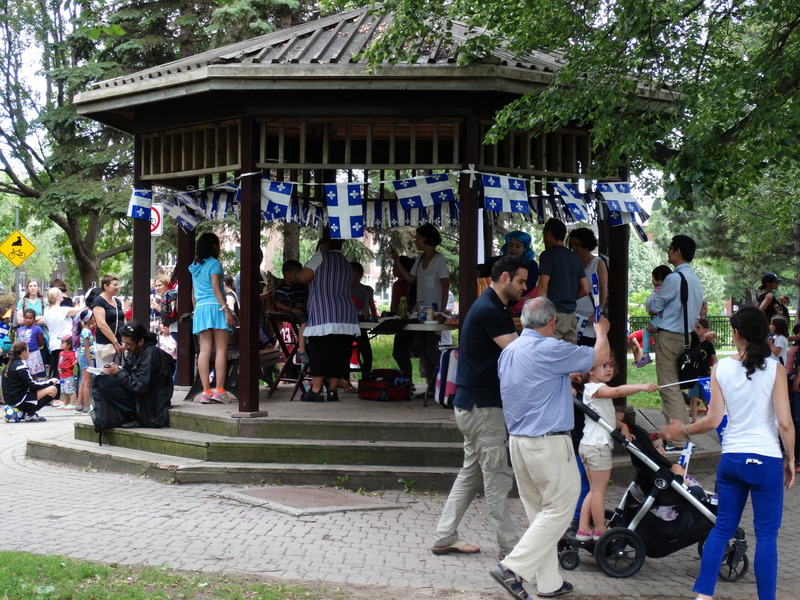 Fête de la Saint-Jean-Baptiste celebrations in Westmount Park. 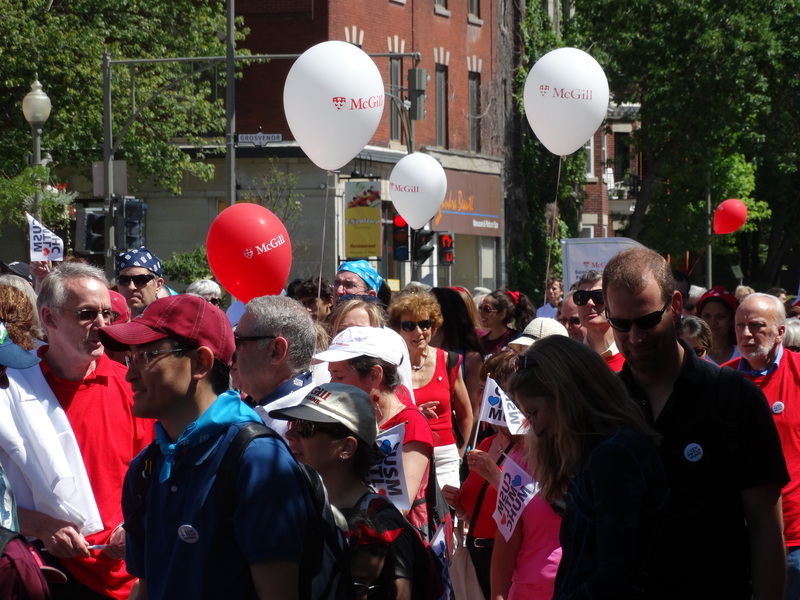 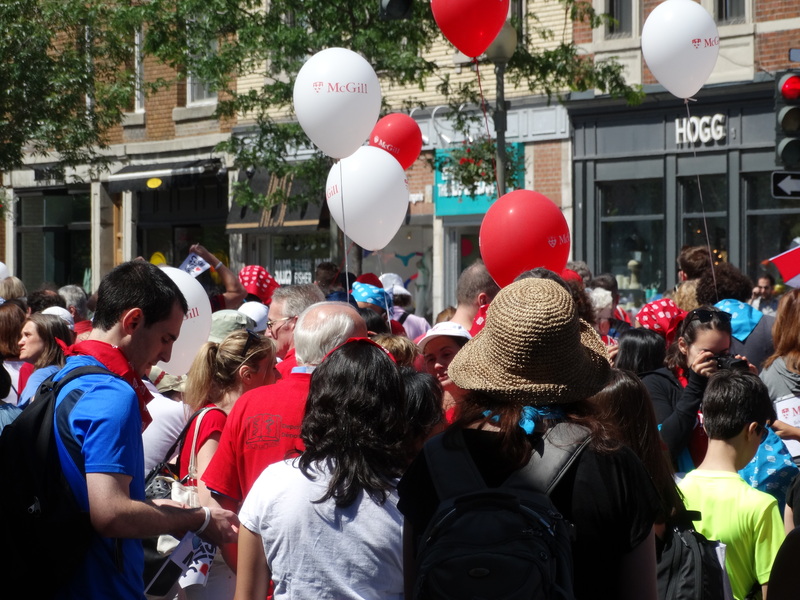 Thousands marched through Westmount in celebration of the opening of the MUHC superhospital at the Glen site.